As a college town and as a city famous for craft, Fort Collins knows good coffee. 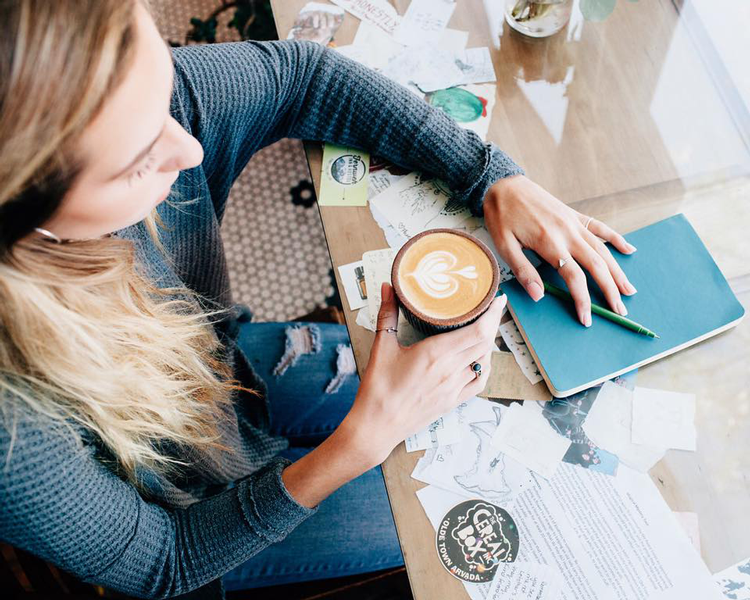 Our blog post, The 14 Best Local Coffee Shops in Fort Collins, shows off those places that have brought these characteristics together to create some of our favorite hangouts. But you don’t need to venture outside of your home to taste outstanding, locally roasted, craft coffee. In fact, you don’t even need to get up from your computer or look up from your phone (though we definitely encourage you to do so every once in a while). We rounded up the coffee roasters in Fort Collins, Loveland, Greeley and Estes Park that are raising the craft coffee bar and delivering it right to your front door. Some of the businesses on our list do have their own coffee shops and there are others you may recognize from grocery store shelves. But, trust us, there are plenty on this list that are still hidden gems and definitely deserve to be discovered. So let’s start discovering. A landmark of Old Town Fort Collins, Bean Cycle has been a part of our community since 2004. Both a roaster and a coffee shop, the team shares their space today with Half Crown Creative and Singularity to provide our community a place where we can drink coffee, hang out, think, collaborate and shop local makers. That collaborative downtown atmosphere is made even better by the smell of freshly roasted coffee beans. One of the most popular spots in Jessup Farm Artisan Village happens to be one of Fort Collins’ favorite coffee houses: Bindle Coffee. Husband and wife owners Andrew and Jenn Webb care deeply about where their coffee beans come from and how both the farmers and consumers are treated. Their global worldview is displayed clearly in the shop where they have a large world map that shows where their current beans are from. And they roast those beans inside their beautifully transformed 19th-century mechanic’s shop! If you’re looking for a sustainable, conscious and whole bean experience, start right here at Cafe Richesse. Beginning in the southern highland areas of Bahia, Brazil, their team uses low impact farming techniques and drip-irrigation technology developed at Colorado State University. Then, the beans are roasted at their roastery and retail shop in Fort Collins. You can find their roasts at several local businesses around Northern Colorado or shop online. The Coffee Registry has become popular for creating Instagram-worthy pour over stands and coffee accessories that make it easy to enjoy the quality of the local coffee shop in your home. But did you know you can take that quality even further with a freshly roasted coffee, too? Their focus on the farmer means your purchase directly supports a farmer somewhere on the globe who’s providing for his or her family. And The Coffee Registry team even bikes their coffee within their free delivery area to encourage biking as transportation and sustainability as a lifestyle. 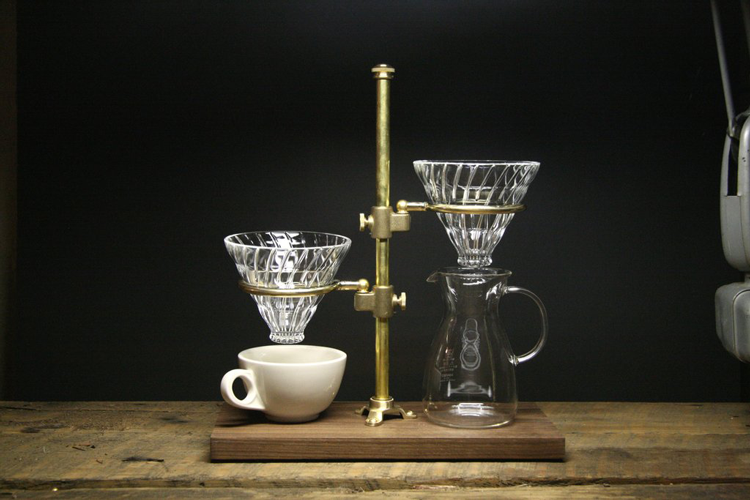 You can see all their coffees and accessories on the website here. In 2012, Conundrum Coffee began producing their small batch, craft roasted, specialty coffees from their Fort Collins home. Today, they do it all out of Loveland, and this small and mighty family-owned roastery still emphasizes the journey and relationships built from seed to cup to ensure sustainability and great taste. Ranging from single origin to blended coffees, their selections include beans from Ethiopia, Guatemala and Mexico. Check out all their coffees, brewing equipment and accessories in the online shop or sign up for the Coffee Club to get freshly roasted beans delivered regularly! Flattop began as an at-home, personal endeavor to satisfy the roaster and owner’s need for fresh roasted coffee beans. Now, with great experience in at-home roasting and with the knowledge that flavor diminishes dramatically about two weeks after the roast, this little team is dedicated to getting your coffee to you within just a few days of roasting. They currently roast once per week on Mondays and ship using two to three-day shipping within 24 hours of the roasting time. That means, if you place an order, it will be filled during the next scheduled roast so you can get the freshest beans possible. 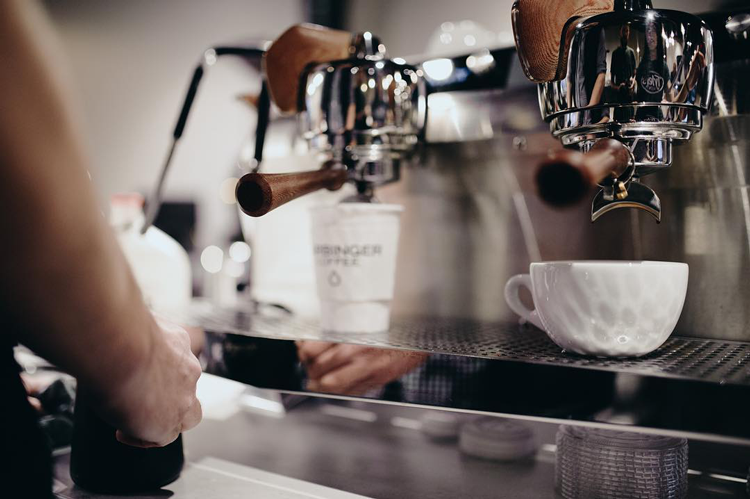 Jonathan Jarrow founded Harbinger Coffee in 2012 and the entire team has been dedicated to outstanding coffees paired with spectacular service ever since. What was once a small, simple coffee cart has quickly grown into two brick and mortar cafes. The first opened on Mason in 2015 and the second opened in 2017 in Southeast Fort Collins. With this second location, the team began roasting their own coffees, too! In her third year in the Colorado State University College of Business, Jackie began roasting at home using a five-pound commercial roaster. Quickly, she began making regular appearances at local farmers’ markets and she outgrew her five-pound roaster within the year. Today, Jackie roasts using environmentally-conscious and sustainable practices and you can find her beans at local businesses and grocery stores all over the region. Thankfully, you can also shop right now online. 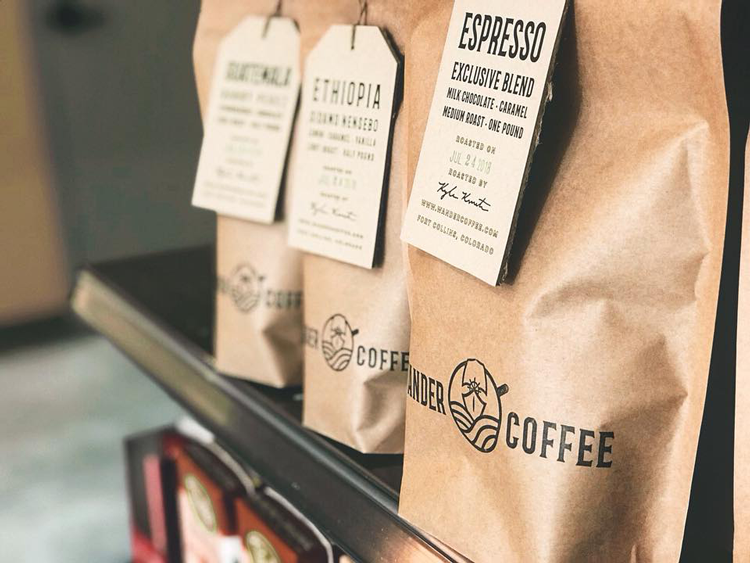 Kind Coffee began in 1998 as Estes Park Coffee Company, a small coffee shop where the team produced beans roasted in-house using a small, five-pound roaster. When they outgrew that roaster, they moved to a bigger space and adopted a name that epitomized their community-friendly, environmentally-friendly and farmer-friendly practices. The floors in the coffee shop are even made out of bamboo, a renewable resource! If you don’t have time to swing by the coffee shop, you can still shop online. 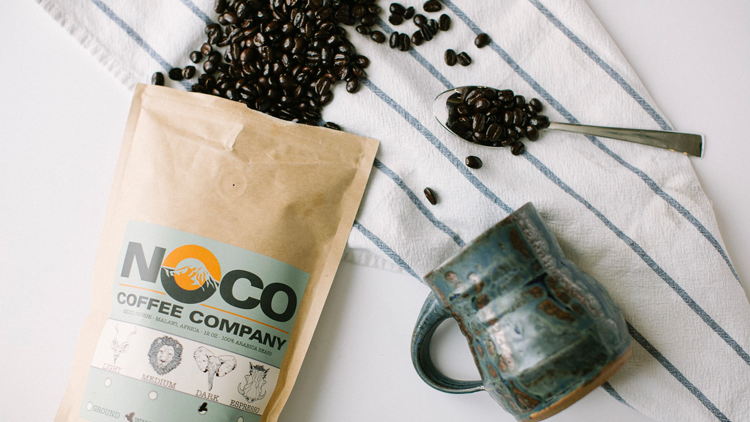 The motto at Greeley-based NoCo Coffee Company is “Love People. Love Coffee.” That’s because this grassroots coffee company loves its community and shows that love through consistently outstanding coffee. The small team is currently only offering wholesale and online purchases, but people are always welcome to swing by and talk coffee when the flag is flying at the roastery: 2416 Unit B W 10th Ave in Greeley. After nearly a decade of at-home roasting, Head Roaster Quinn Schultz and his family decided to share their love for craft coffee with their community. Right here in Fort Collins, Quinn puts that passion and his experience with sustainable and conscious sourcing to use every day. Click here to find out where you can find Peritus around town, including inside local brews at some of our favorite craft breweries! The only one of its kind in Northern Colorado, Twin Brothers Coffee Roasters uses a unique air roasting process to roast their coffee beans. And when we say unique, we mean it. Only 1% of all coffee beans harvested in the world are air roasted and Twin Brothers is one of just a handful of Colorado roasteries to choose this process. As a result, the true flavors of the coffee are enhanced rather than the flavors of the roast. To learn more, check out their website. As avid nature lovers and coffee lovers, the small team at this family-operated micro-roastery makes coffees driven by four core values: quality, sustainability, integrity and community. So when you sip a cup of Wander, you know you’re sipping coffee that has traveled the world in the best ways and that shows off that global character through careful roasting. Meet the family behind this Fort Collins company here. Do you have a favorite roast? Tell us about your favorite Northern Colorado roaster in the comments below—even if they’re not on our list!